Sometimes people misspell words when they search on Google. When it comes to the organic search results Google will still display results based on the correct spelling of the word, as well as close variants of correctly spelled words, such as singular and plural forms, acronymns (e.g. F.B.I. with Federal Bureau of Investigation), stemmings (cook and cooking), abbreviations and accents and synonyms. This works well for organic searches. But when managing an Adwords campaign, because the advertiser pays for every click, they don’t often wish to use broad match keywords too often and generate masses of non-converting clicks. So generally it’s best to target “phrase match” or [exact match]. 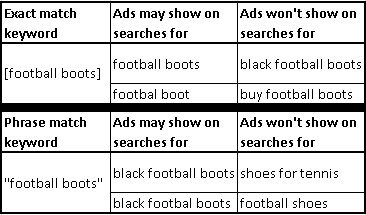 But when if people are trying to search for your keywords and they misspell a word, and you are only targeting these keywords with “phrase match” and [exact match] in your Adwords campaign? Before this would mean your ad wouldn’t show! 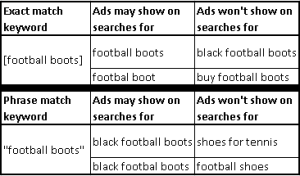 In mid-May Google will be making improvements in this regard, meaning ads will be eligible to be displayed if people have searched for close variants including misspellings, singular and plural forms, acronyms, stemmings, abbreviations and accents… but not for synonyms. For Adwords training or Adwords campaign management, contact us.